I participated in a campaign on behalf of Mom Central Consulting (#MC) for Figleaves.com. I received a product sample to facilitate my review & a promotional item as a thank you for participating. Back from the honeymoon, but still finding every excuse to continue my island lifestyle! I love this swimsuit from Figleaves.com - not only are the contrasting ties on this suit so fun, their entire online selection is completely swoon worthy! Figleaves.com offers 200+ designers of lingerie, swimwear, apparel, sleepwear & more – from popular designers such as Vix & Aguaclara, to private labels and exclusive items from brands like Midnight Grace, Just Peachy, & the eponymous Figleaves label. I love that the swimwear is offered in bra sized swim separates to ensure a perfect fit for all body types - because we aren't all a straight off the rack sizes! I often found that I need a different size on top than I need on bottom, & with Figleaves, this is all possible! Cup sizes range from AA-GG, & styles vary from classic one-piece swimsuits, to fashion forward bikinis, to chic tankinis – meaning that Figleaves.com truly has something for every body. With Summer right around the corner, I know I will be putting this swimsuit to good use! And feel good while doing so! Be sure to check out their entire selection of swimsuits available this season! Today Figleaves is hooking you up for Summer too! Take 10% off all full priced items with promo code LOVE2014 at checkout (runs until June 15th). woot, woot. You look amazing. 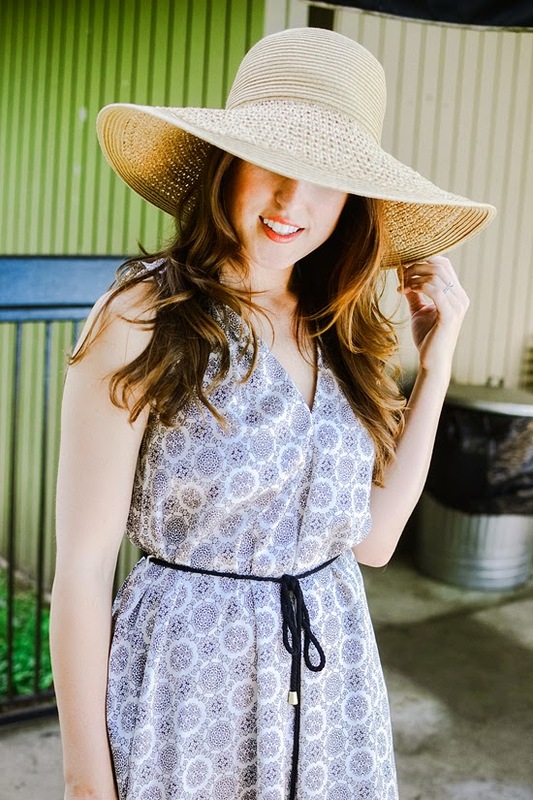 Love that dress and so perfect for summer with the hat. That is such a pretty cover-up! Cute bikini too. This is a perfect beach or pool day look! Love it! I know exactly where I'm getting future swimsuits from! Oh what I would give to be by a pool right now! Loving your hat...you look so pretty and relaxed! I definitely think it is smart to offer swimwear in bra sizes! :) Loving your hat and suit! Super pretty, you look gorgeous! Super cute bathing suit! I think pool side is the perfect place to be right now so I'm way jealous! Happy Memorial Day Weekend! Super cute suit! And your bod is BANGIN! I know right - why don't more brands do it!? Thank you pretty lady! A cute suit always helps! Disqus needs to start using emojis 'cause I need the blushing one! Thanks lady!